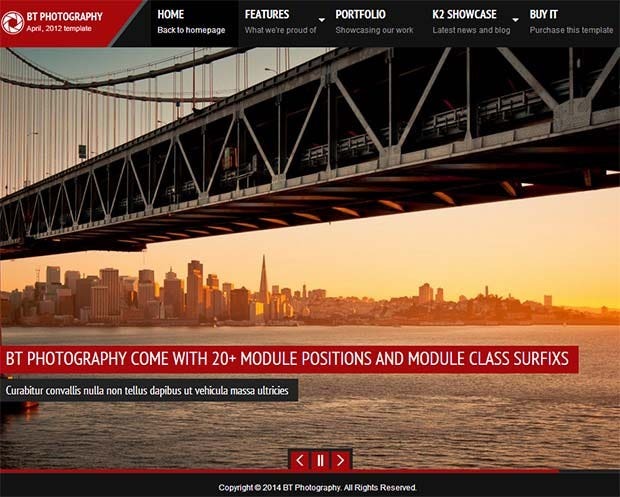 A photography focused website can just not afford to compromise on the content delivery. 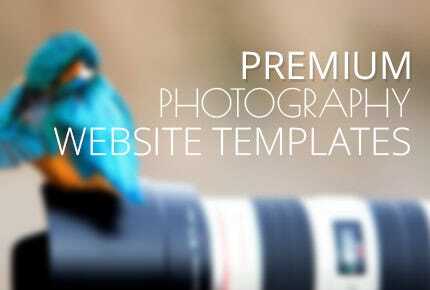 You have several reasons to invest in a top class premium photography website template. Use attractive image slideshows, visually gripping content, innovative content delivery mechanisms, and advanced features that let you connect with the lovers of your photography well. 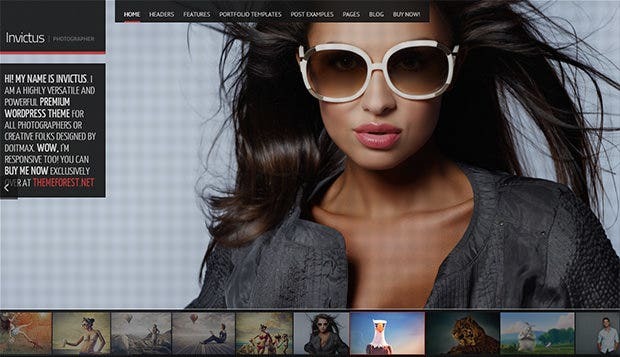 There’s no dearth of some classy HTML5 and CSS3 empowered premium photography website templates; here are out best picks. A theme featuring exclusive sliders and extensive theme options! Easy shortcode generator works like a charm and the WooCommerce integration acts as the perfect foil. An exhaustive video tutorial section packs a lasting punch with colorful font sets. 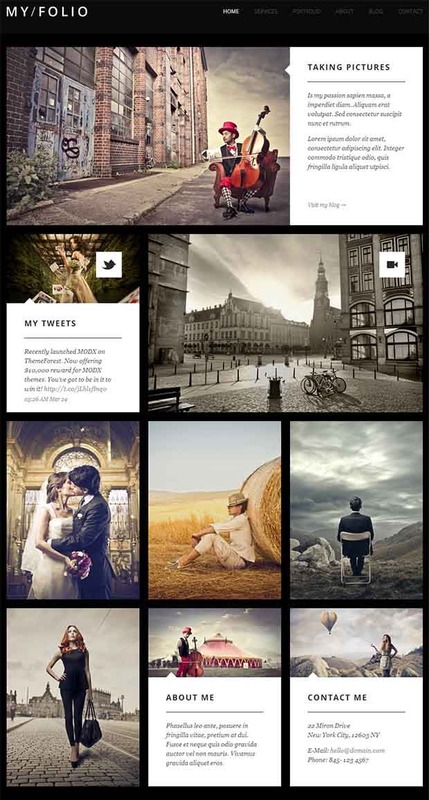 This theme assimilates video and photo portfolios with seamless ease. An interactive interface shapes up the installation process in addition to the included Facebook application. Boost the online traffic substantially with the unique sliders and navigators. Set aside the obsolete techniques with a dazzling interface and multiple Ajax loading techniques. Vibrant imagery is provided whereas the responsive layout has many takers. Complete localization support seals the deal for the creative professionals. 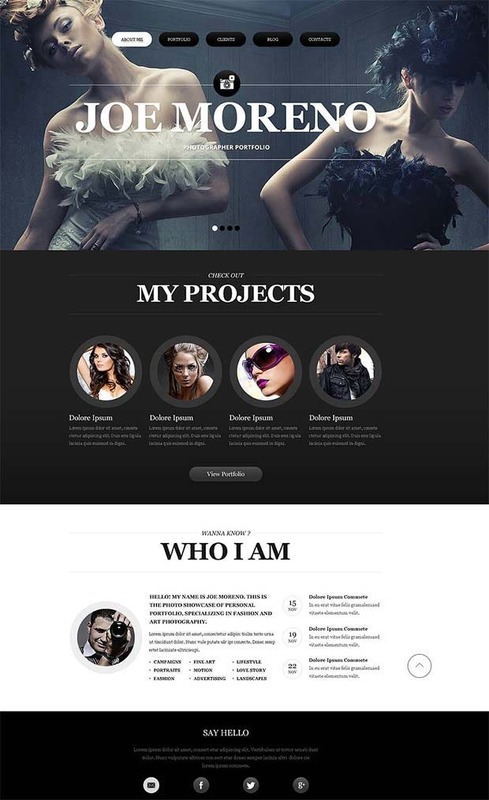 Justify the extensive work put in by the professionals with this exceptionally responsive theme. Well defined ecommerce plugins make selling fun whereas the customizable interface adds to the online visibility. Rejuvenate the dormant setups with colorful imagery. A Fullscreen theme adds to the functionality! 10 gallery templates, skin managers and music support- add these features into the mix for an adaptive yet resourceful interface. Content security is guaranteed with the password protection schemes. Meant for the photography junkies, this theme has multiple add-ons in an extended photo gallery, Fullscreen slideshow support and multi-platform compatibility. Content management is made easy with vibrant animations and WPML support besides the scalable layouts. This theme lives up to the expectations with a responsive interface, auto play options and the combined sliders. Take your designs to a whole new level with the thumbnails whereas the lightbox link and social media icons make it extremely resourceful. Beef up the websites with resourceful options in wordpress compatibility and cross browser support. Manage the textual interface seamlessly with the translation ready interface and the SEO optimized approach which comes in real handy besides the image sliders. Theme bundles are the personal favorites whereas the video tutorial shapes up the installation basics perfectly. An off canvas layout is evident and the cross browser compatibility comes as a handy option for the designers besides the resourceful plugins. An exceptionally responsive layout leaves a lasting impression and the shortcodes make for a resourceful interface. This theme includes localization support and a Widgetized work base, therefore coming up as a usable option for the photography junkies. 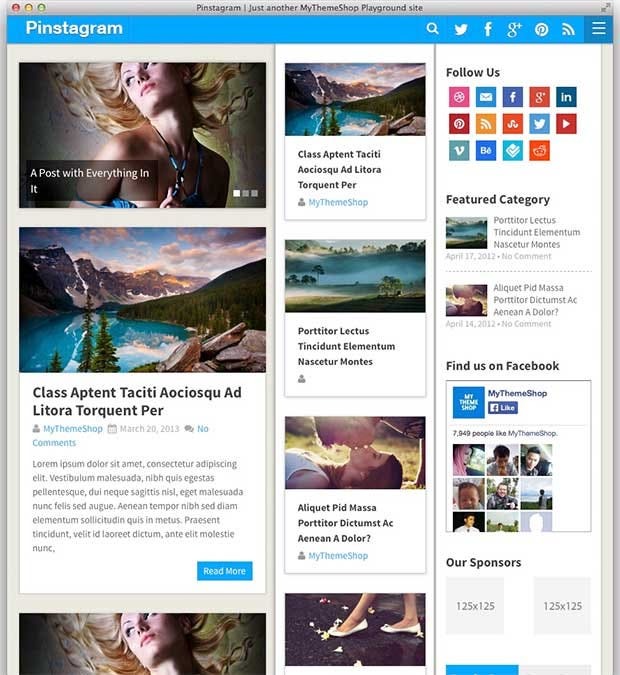 A stunning theme meant for the professionals with a feature packed interface! An extended color palate is featured whereas the responsive design lends the required class and support. Multiple page templates further accentuate the designing experience. Make your website stand out among the contemporaries with multiple themes and the extensive localization support. Custom menus are available with an option of color variations. The cross browser compatibility complements the high end features perfectly. An exceptionally designed theme which packs a lasting punch! With the fully responsive layout, font awesome icons and cross browser compatibility, this theme leaves a lasting impression. PSD files and HTML version provides the strengthened work base. 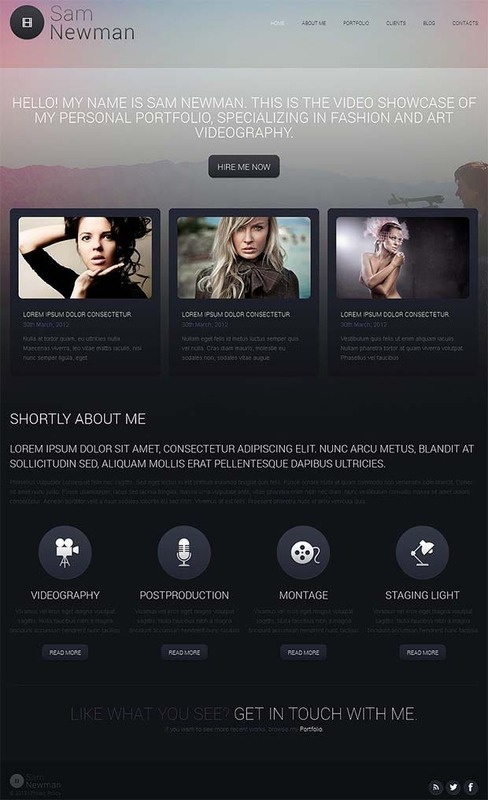 A grid based theme featuring extreme flexibility in addition to the scope for the perpetual updates. Send the conventional features packing with complete localization support and an extended color palette mostly for the designers with a thing for creativeness. 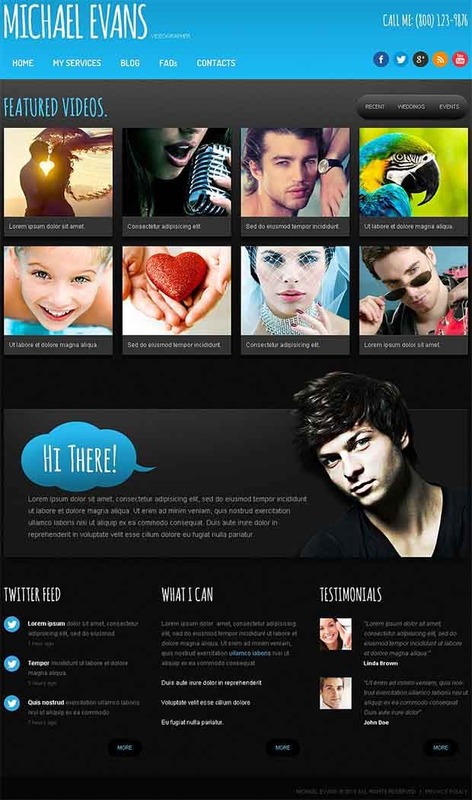 A theme with unlimited custom templates and eye candy animation effects deals a lasting blow. Added support is rendered with the drag and drop page builder whereas the retina ready design feels extremely innovative for the designers. Spice up the online interface with a responsive layout and an extended options panel. Custom widgets are up for grabs and the SEO optimized approach provides a lasting impression. Make content management fun with the translation ready framework. 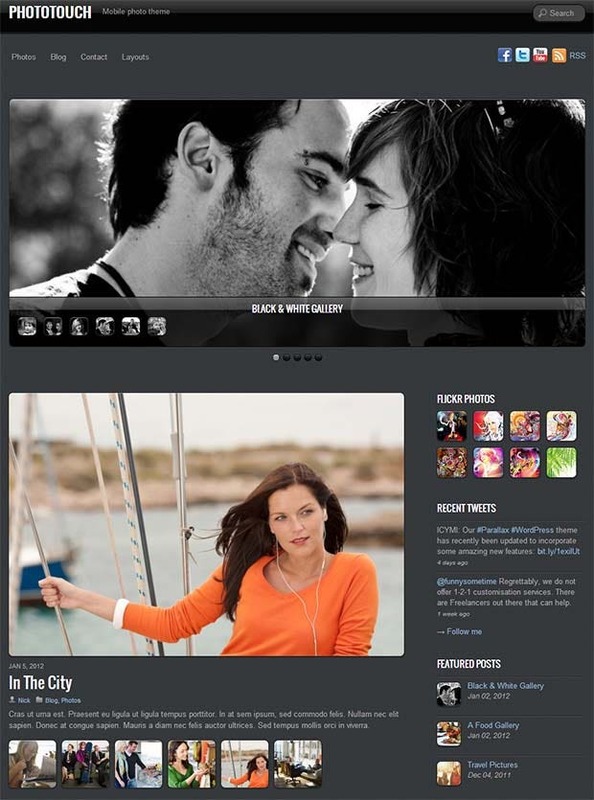 A theme featuring a highly responsive layout and multiple theme options! Custom widgets and the hugely resourceful localization support provide the need flexibility besides the seamless logo uploads buttoned shortcodes and the vibrant page templates. 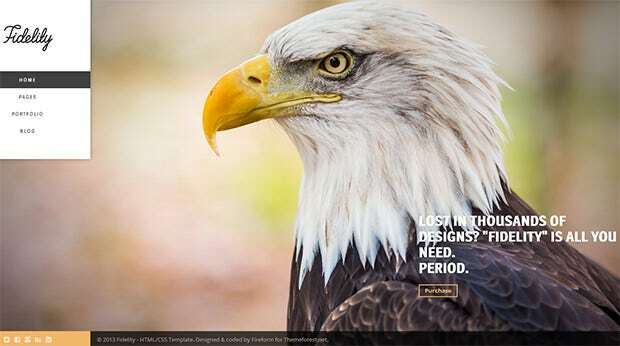 Be fast paced with this theme showcasing striking designs and a responsive layout. Five unique color selections are available in addition to the valid programmable codes. Get hold of the perpetual updates and cross browser compatibility with this exceptional selection. A responsive layout and the extended photo gallery are included besides the localization support. Spice up the pages with the 5 colored palette whereas the cross browser compatibility makes this theme exceptionally resourceful for the creative minds. This is one versatile option for the designers which amalgamates power with finesse. Fullscreen images are supported whereas an extensive admin panel provides a stand out performance. 600+ Google Fonts are also up for grabs, facilitating seamless installations. Settle for nothing less than the best with this exclusive theme supporting extreme responsiveness and cross browser compatibility. Buttoned shortcodes are available and make the content more resourceful with additional tabs and utilities besides multiple page templates. With the password protected galleries and unlimited sidebars, this theme strikes the correct balance between safety and resourcefulness. Multiple color options are available whereas the custom landing page provides the required assistance to the designers. Zoom your way to glory with this utilitarian selection which includes custom post options. Featured widgets and color schemes come in handy whereas added flexibility is provided by the extended admin panel besides the configurable gallery sliders. This is one feature packed theme making life extremely easy for the enthusiasts. Some awesome icons are included for an adaptive approach whereas the well documented layout provides the needed boost besides the MailChip integration. 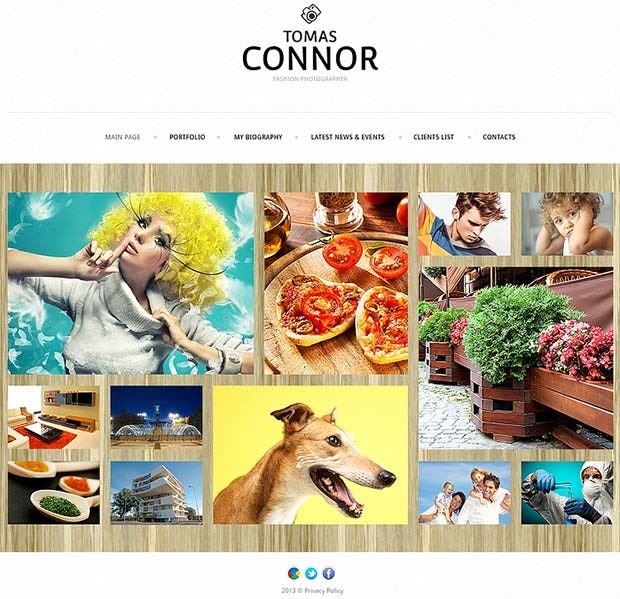 This is one responsive theme which provides multiple skins and tons of styling options. Project categorization has been made extremely simple with the filterable portfolio and the awesome hover effect comes with customizable portfolios and rollover graphics. 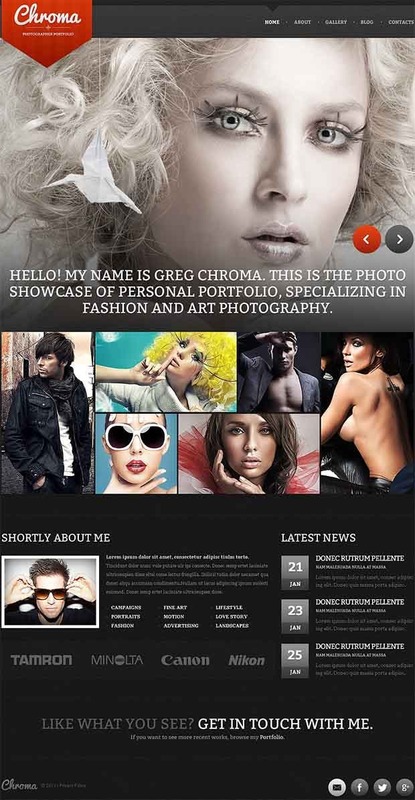 This theme comes with 7 color schemes and the smart filterable portfolio which allows seamless project categorizations. The unique Ajax photo gallery provides the needed boost whereas the customizable widgets come in handy for the professionals. Minimalistic designs are well thought of and this theme provides certain standout features in a responsive layout and wordpress compatibility. A fully editable interface is available in addition to the custom post types and 80+ shortcodes. This theme has completely responsive layout acting as the perfect foil to the fully editable interface beefed up with custom post types. Filterable portfolios are available for seamless categorizations whereas the 80+ shortcodes provide the needed boost. Let the evolutions come to life with an editable layout featuring multiple shortcodes and a responsive interface. Seamless content management is guaranteed with the thumbnail support and the availability of post formats makes it exceptionally resourceful. 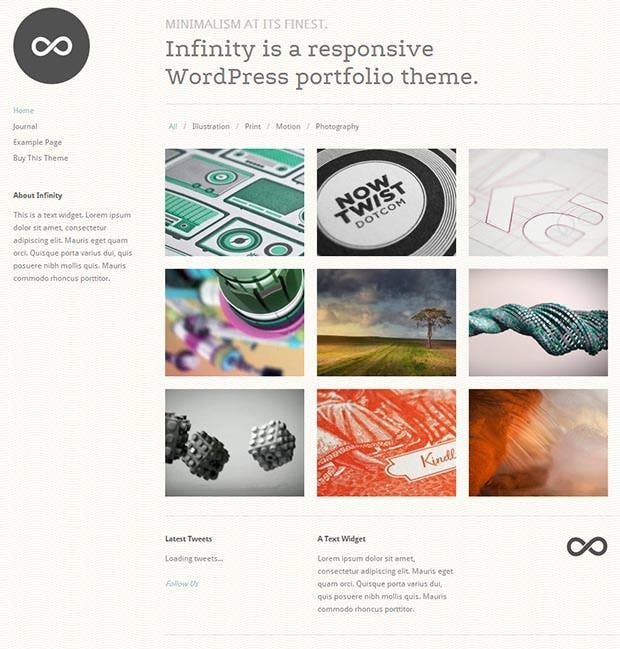 This theme features a responsive interface and has in store multiple font sets and icon selections. Drupal compatibility provides the required flexibility whereas the vibrant template selections make way for extreme innovation and a classy inclusion. Meant for the enthusiastic photography junkies, this theme has in store certain resourceful features like multiple blog styles and tons of page layouts. Ajax post loading is also an option which comes in handy for the professionals besides the spectacular homepage portfolio. Set aside the obsolete techniques with this feature packed theme including a customizable layout and multiple page formats. An extended admin panel is available besides the tablet supported layout and also the exceptionally responsive interface. Tons of shortcodes and a responsive layout make this theme a worthy inclusion. Drupal compatibility is assured in addition to the portfolio selections. Multiple sliders and seamless navigators are available for scrolling through the content with considerable ease. Set the bar exceptionally high with this responsive theme featuring monochromatic shades and darker undertones. Content area is divided into usable columns for the professionals whereas the Drupal compatibility helps minimize the installation hassles considerably. With the Joomla empowered interface and an exceptionally responsive layout, this theme provides a feature packed option to the enthusiast. Tons of shortcodes are supported and the content management is made seamlessly easy with the customizable framework. This theme is extremely responsive and includes all the high end features ranging from tons of shortcodes to multiple post formats. Customizable interface comes in as a handy option besides the featured icon sets and font selections. Embed SoundCloud in the articles quite seamlessly with this usable theme featuring multiple shortcodes and a responsive layout. Circle contact module is available besides the extended imagery support for the professionals in addition to the detailed documentation. High resolution photos are up for grabs whereas the interactive layout delivers a standout out performance. With the content area kept minimal, this theme includes better graphical illustrations which are exceptionally vibrant and extremely resourceful. This is a feature packed theme which includes a seamless interface and multiple specs like the revolution slider and auto compilation benefits. Blog use turns exceptionally easy with the powerful K2 component embedded besides the Kunena forum. 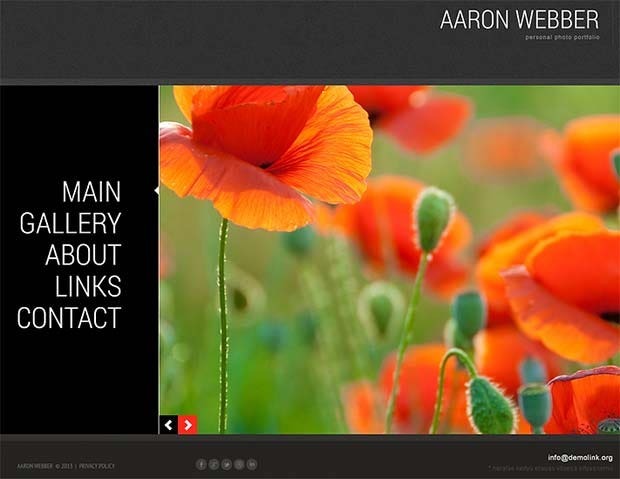 Set aside the redundant features and make room for this responsive theme. Better looking templates and vibrant color schemes are supported whereas the multiple shortcodes help manage the content with seamless ease in addition to the multiple sliders. A resourceful theme set against a monochromatic backdrop features multiple sliders, tons of shortcodes and multiple post formats. Editable interface minimizes the installation hassles whereas the availability of vibrant colors comes in real handy for the professionals. Increase the website traffic with this extremely resourceful theme featuring a responsive layout and multiple shortcodes. Content management is made easy with the custom post types embedded whereas the cross browser compatibility provides the needed boost. 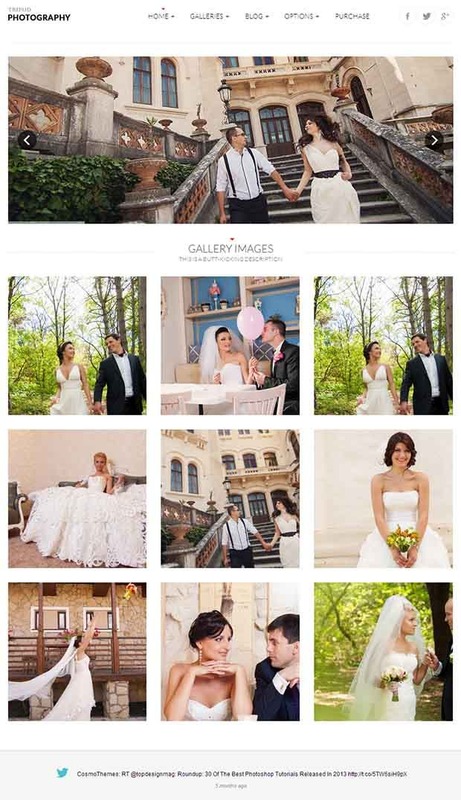 This theme has a built-in image grid which modifies the graphical illustrations considerably. Content area is deliberately kept small for adding vibrant color and icon sets into the mix. Set the standards high with the usable shortcodes and cross browser compatibility. 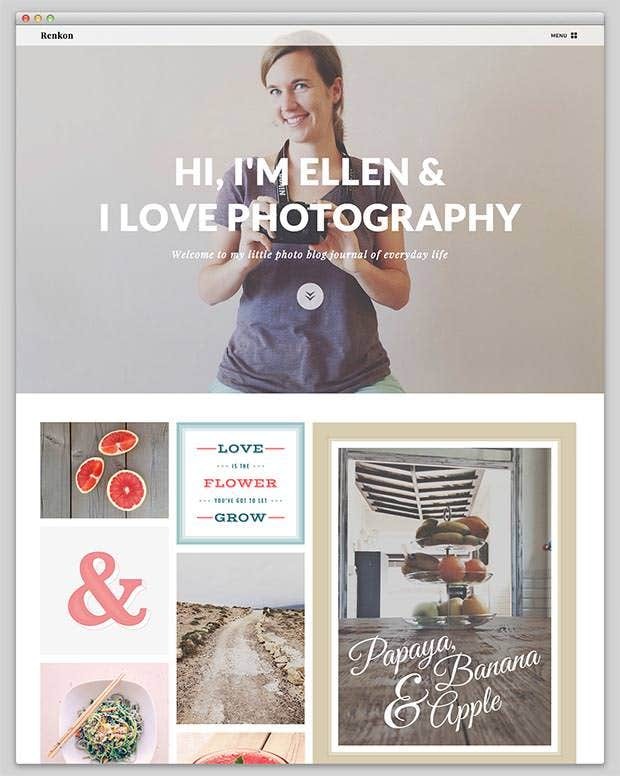 This theme navigates through the basics of photography with a responsive interface, pretty photo integration and included blog templates. Video support in the background in addition to the Google Map integration provides a standout performance. A vibrant and colorful theme which strikes the correct balance between power and finesse! 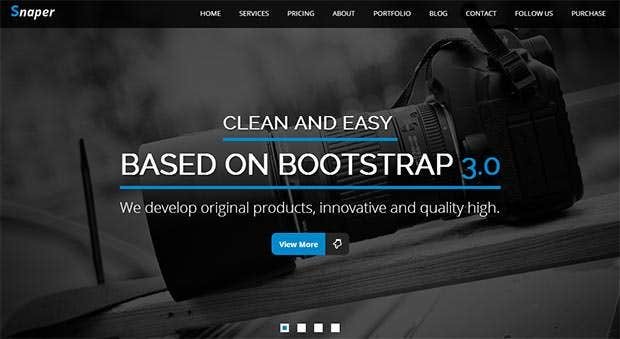 This is an exceptionally responsive theme which lends the required visual expertise in addition to the multiple shortcodes and the cross browser compatibility.